As part of the Aisle Society corporate retreat, I were treated to a 3-day stay at Sandals Royal Bahamian. 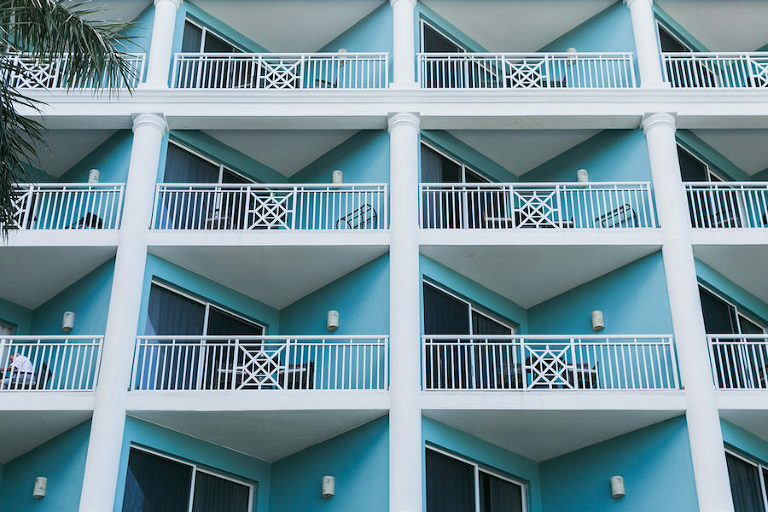 While I’ve been on several cruises to the Caribbean, this was my first stay at an all-inclusive resort, so I was really excited experience the Bahamas resort. Sandals Royal Bahamian is located on the island of Nassau in the Bahamas. I flew out of TPA and had quick layover in MIA, though Silver Airlines does fly direct (but their planes are really tiny!). The start of Sandals #NoWorryMovement experience started at the airport with a free shuttle to the resort; it was great to not have to worry about how to get there or finding a cab. 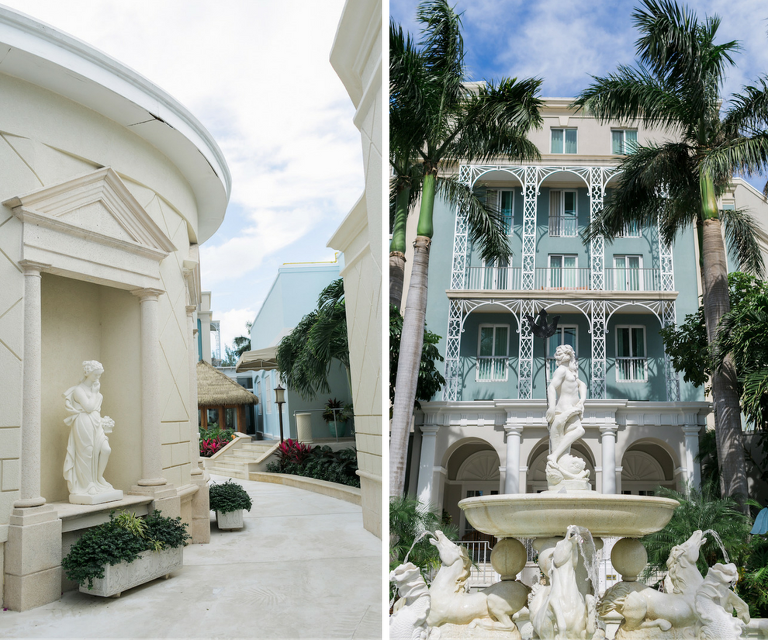 Every Sandals has a signature amenity, for the Royal Bahamian property, it was the private island (more about that in a bit). The hotel actually used to be private club for the Duchess and Duke of Windsor (yes, the King of England) back in the 1940’s, so it boats a lot of European architecture. With seven pools, ten restaurants and a variety of lodging options, the resort is nicely spread out, but still intimate. Sandals is best known for the famous, “Butler Suites” or “Love Nest Suites” with swim up pools. While us Aisle Society editors were butler-free this stay; it’s definitely an upgrade worth getting! When you’re ready to get adventures, the resort offers non-motorized water sports. We took the paddle boards out, though I wish had more time to ride the mini-sailboats. What I particularly like about the Sandals properties is there are no kids allowed, so it is a true getaway without the distraction of other guests’ children. As part of the all-inclusive service, the drinks were flowing all week. I was even greeted by a bottle of champagne in the room! With 10 restaurants to chose from, and since we were just there a handful of nights, we didn’t get to make it to all of them. From Italian to Japanese hibachi, there’s a cuisine for every craving during your stay. A highlight of the dining options was Gordon’s on the Pier. The overwater, outdoor bungalow features white glove service and a steak and seafood inspired menu. The ambience was romantic and relaxing, exactly what you’d want in a honeymoon getaway. TIP: The pizzeria just off of the pool is delicious! It’s great for refueling after a sun soaked day. The Sandals #NoWorryMovement includes not only its honeymoon stays, but also extends to its “WeddingMoons.” Depending on the size of your wedding, the resort may comp your room, turning your destination wedding into a destination honeymoon! While I expected the weddings to be cookie-cutter packages, I was pleasantly surprised by the amount of customization available at the property. With a resort wedding planning and decor team, you truly don’t have to worry about thing, yet can still have a unique and memorable experience. Remember that private island I mentioned earlier? The Aisle Society editors got to experience it firsthand with a private boat ride, beachfront dinner under the stars and lively entertainment. Months later and we’re still reminiscing on how that memorable night and how much fun we had. It truly was the epitome of a what a Bahamas destination wedding should be. 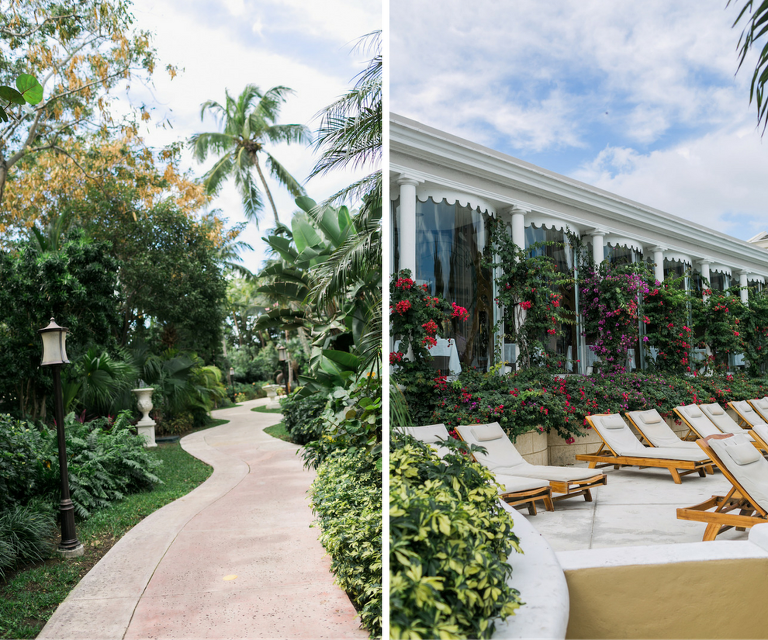 As fabulous as the private island was, if you’re looking for a more intimate wedding, the main resort offers multiple ceremony locations, from a European inspired garden gazebo to an romantic, oceanfront backdrop or indoor ballroom. 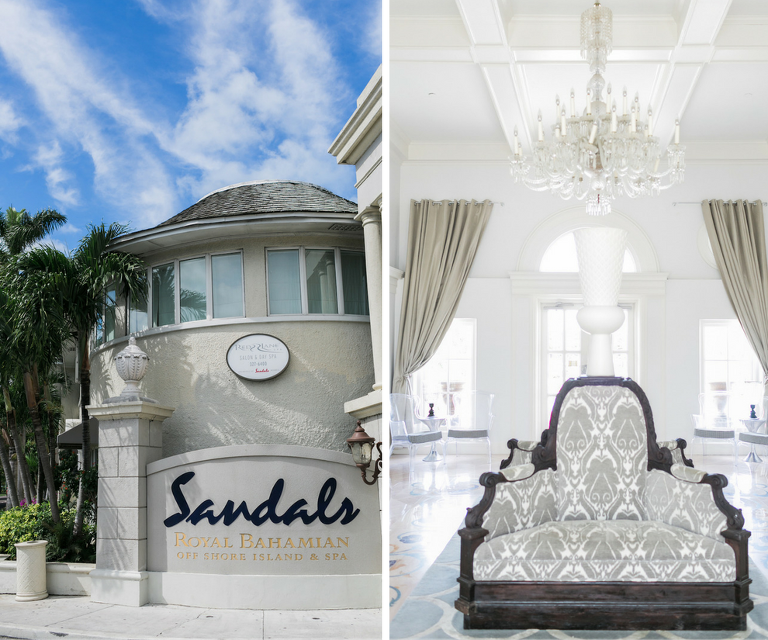 *Sandals Royal Bahamian sponsored this stay in the Bahamas. All opinions are the author’s own are not endorsed by Sandals, Aisle Society, or their affiliates.